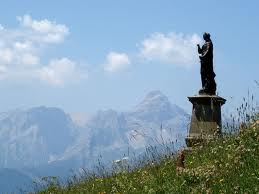 This website is dedicated to saving souls by spreading the Catholic Faith, as taught and defined by the true popes and the Magisterium of the Church starting with the first Pope, St. Peter. Our desire is to see that all persons join, continue in, or return to the Roman Catholic Church of which outside of there is absolutely no salvation. We are also dedicated to charitable works. See our Home Page for details of our Free Food Program for the needy.